Discover the perfect ways to explain and understand your talents. Aim your talents at anything that comes your way. From the reports and other resources to development opportunities and the ability to help your team and your organization, use your talents to accomplish great things, no matter the situation. More than reports. Guides for understanding and improving your performance. On your personal journey, you need direction. Your CliftonStrengths reports help you chart your course to accomplish great things using the true north of what you naturally do best. "What makes me uniquely powerful?" This is the most in-depth CliftonStrengths report Gallup has ever released. 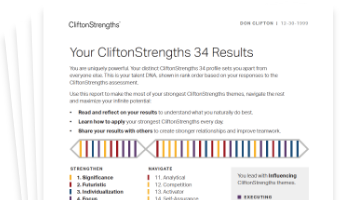 Your CliftonStrengths 34 Report shows you how to make the most of your strongest CliftonStrengths and how to understand your full CliftonStrengths profile. Purchase All 34 CliftonStrengths access -- or upgrade your existing CliftonStrengths account -- to receive this unprecedented report that unlocks who you are and how you can maximize your infinite potential. Currently available in English only. See Theme Sequence Report for full CliftonStrengths theme sequence in translated languages. Those are roughly the odds that someone shares the same Signature Themes - or "top five" - as you. This report presents your five most-dominant themes of talent among the available 34 CliftonStrengths themes. Our research indicates that your greatest room for overall personal improvement isn't where you're weakest, but rather where you're strongest. Discovering where you're strongest starts with your Signature Themes. "How did they know that? That's exactly … me!" One look at your first personalized strengths insight and you'll ask yourself the same thing. 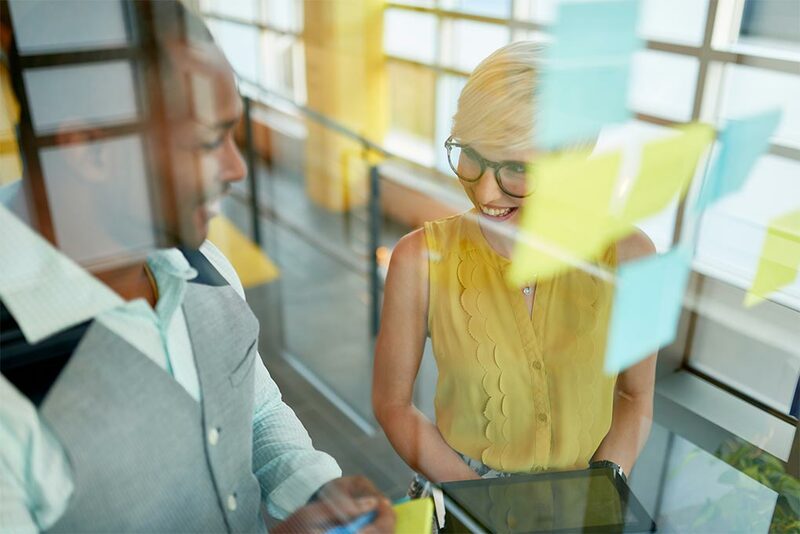 Developed over decades spent studying millions of CliftonStrengths assessment results, these insights explain exactly how each of your Signature Themes makes you stand out in the world. The pinpoint accuracy will leave you inspired and empowered with a newfound self-awareness. StrengthsFinder 2.0 is one of the most popular business books ever written and is Amazon's bestselling nonfiction book of all time. When you complete the CliftonStrengths assessment, you'll receive a secure digital copy of the book to use with the devices of your choice.